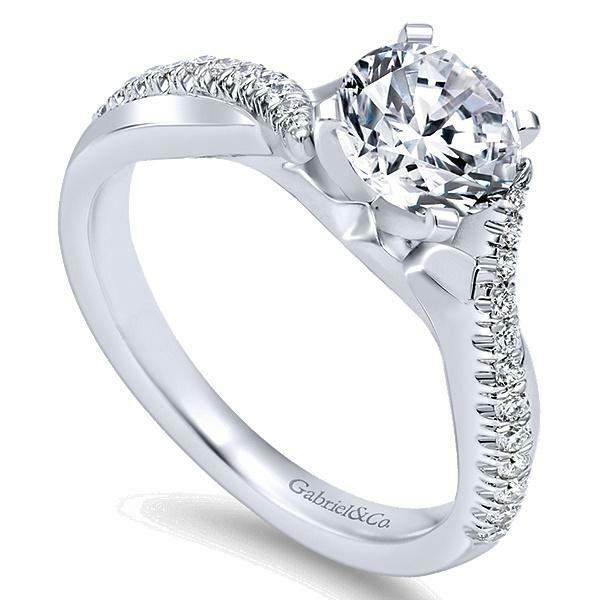 Scout 14k White Gold Round Twisted Engagement Ring features .19ct total weight side diamonds offer SI clarity with G-H color.Designed for the bold woman, this exceptional engagement ring includes a diamond and precious metal criss cross setting that meets at the center for a flair of sophistication. 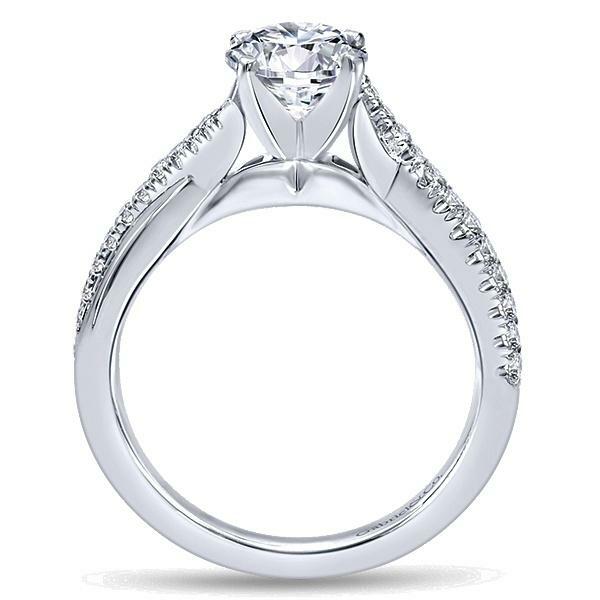 *Center stone 1ct is not included will Quote Price to supply center. 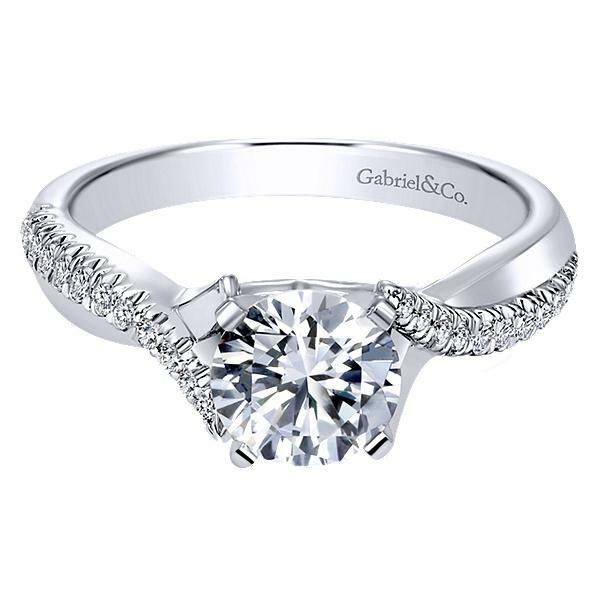 NOTE: Size 6 1/2 and 1ct round head is in stock and ready to ship. Other sizes made to order and are available in sizes 4 thru 9. Available in 14K white, 14k yellow and 14k Rose gold. Buy online or call 1-800-Haydens. Order now to ship special orders in 16 days.